Click image below for closeup. 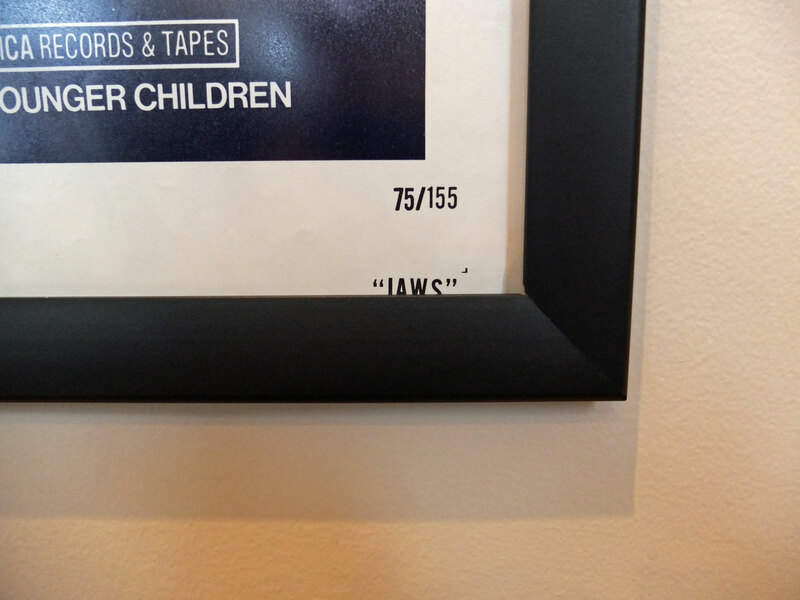 Our movie poster frames are made from the highest quality Anodized Aluminum. We take pride in the fact that these movie poster frames have a look and feel far superior than most poster frames on the market today. 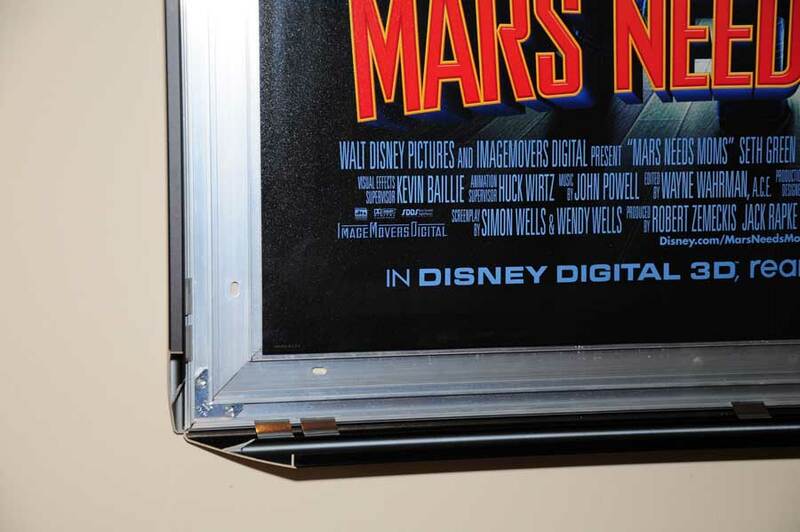 And the best part about these movie poster frames is once they are on the wall, you can change the movie posters in and out just by snapping all 4 sides open, never having to take the poster frame off the wall. *BEFORE ORDERING, PLEASE MEASURE YOUR POSTER. This poster frame holds movie and music posters sized 27" x 40" If this is not the size of the graphic you are looking to display, just contact us, we can custom cut any size you need. Each frame comes with 2 overlays. The overlays are PETG. One overlay will be all clear on both sides. The other overlay will be clear on one side and matted on the other to provide a non-glare display. With this overlay, you can use ether side, the clear side is not as clear as the all clear overlay that is also provided. The all clear overlay will have a protective coating on both sides that will need to be removed if you are going to use it for the front overlay. The Non-Glare/Clear overlay only has one protective coating that needs to be removed if you are going to use it for the front overlay. If you are going to use ether of these overlays as the back sheet, there is no need to take off the protective coating. The protective coating just peals off. Just start at one of the corners of the overlay with your nail. Both overlays provide UV Protective properties and are Acid Free, HOWEVER, THE ALL CLEAR OVERLAY DOES NOT PROVIDE AS MUCH UV PROTECTION AS THE NON-GLARE/CLEAR OVERLAY AND WE RECOMMEND YOU USE THAT OVERLAY AS YOUR FRONT OVERLAY FOR DISPLAY. Don't forget to pick up an extra movie poster to put in your new frame. You can see the many different colors to choose from for your border profile here: About our frames. Please take a moment to see how great these frames look in use. All four sides of the poster frames open to easily change movie posters in and out. To learn more go to About Our Frames. 3 Sheet Cinema Movie Poster frame 41" x 81"